I met Chris and Ashley almost exactly a year ago. Ashley contacted me to do their engagement photos and what was supposed to be a fall session turned into a winter session when we received an unexpected, NW Ohio snowfall. Chris and Ashley were troopers and put up with the snow and cold and I ended up with one of my favorite winter images ever. You'll have to scroll back through the blog for that. :) They hadn't booked a wedding photographer yet and I'll be honest, Ashley wasn't sold on booking a photographer who (at the time) didn't have a wedding portfolio. Eventually though, she and Chris put their trust in me and booked me to capture their big day. 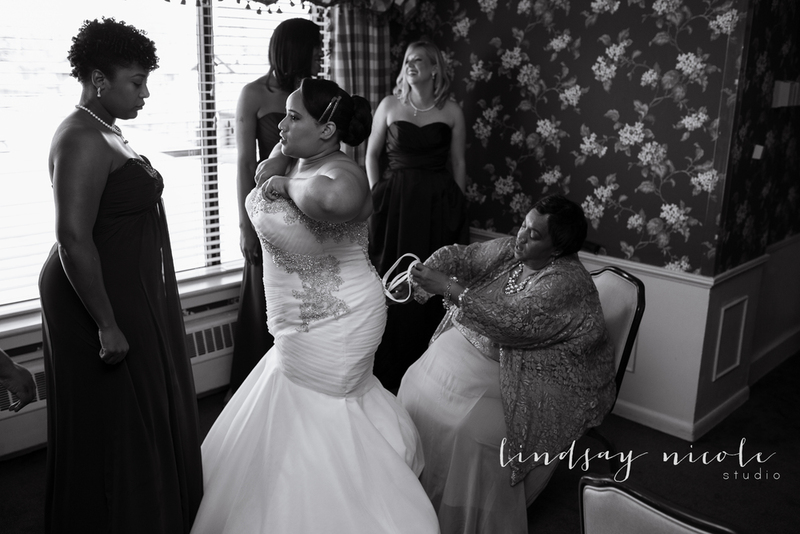 Chris and Ashley were married on October 11th, 2015 at the Sylvania Country Club in Sylvania, Ohio. It was the sweetest Sunday afternoon wedding, complete with an amazing brunch and we were blessed with nice weather to boot! 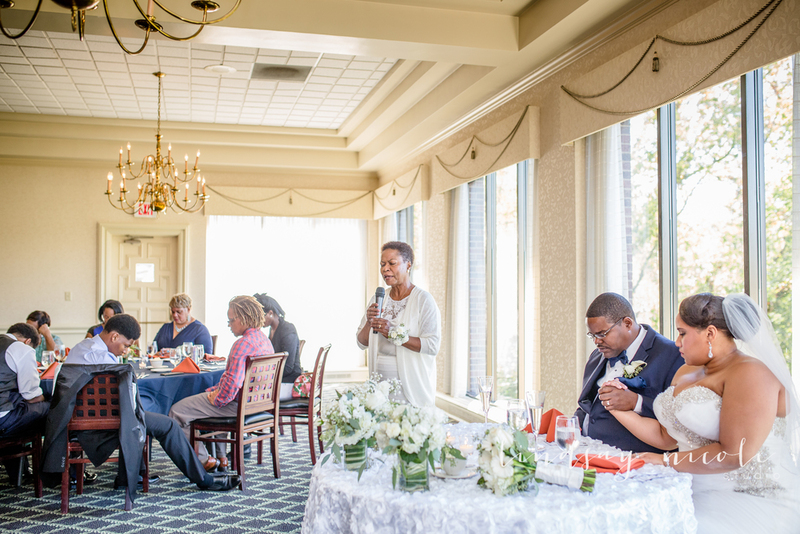 Since their wedding was on Sunday, their celebration began on Friday night with the rehearsal dinner and they were able to spend the entire weekend with their family and friends. The best word I can use to describe Chris and Ashley's wedding is "genuine". Their love, their friends, their family, all of it: genuine. 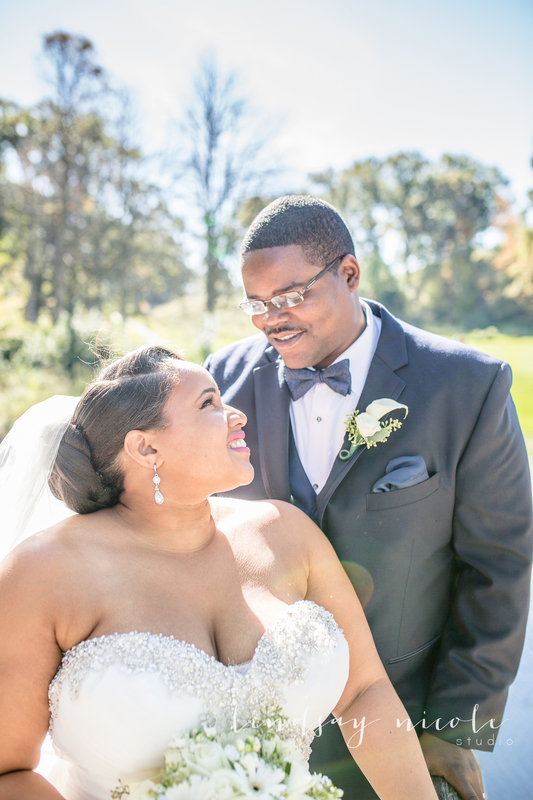 Ashley and Chris were surrounded by love on their wedding day, but you can tell it's the kind of love that will surround them for their whole marriage. Their guests were truly rooting for them and their love and it was so much fun for me to witness and document. They exchanged handwritten vows, inside jokes and more smiles than I could count. I will always be grateful to them for choosing me to be a part of their day. Ashley and Chris, I'm so blessed to have met you and I wish you the most wonderful, long and beautiful marriage. You have so many friends and family supporting you and I hope you count me among them. Here are some of my favorite images from your day. p.s. I must add a HUGE thanks to my amazing friends, Natalie Koch and Amanda Murray for second shooting and assisting me for this wedding. These images below would never have happened without you both!